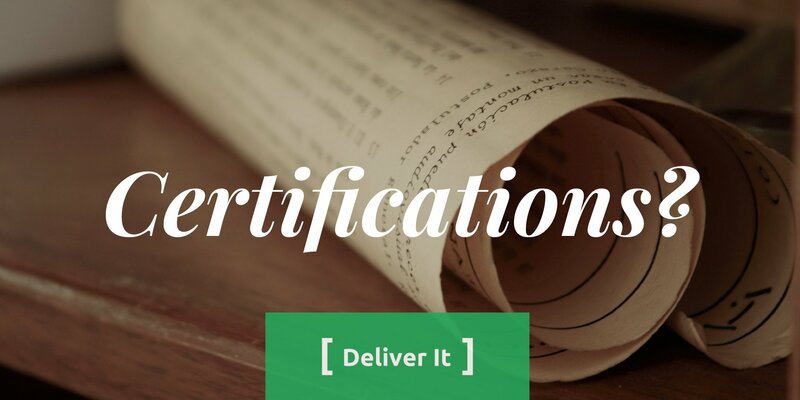 Deliver It Cast: EP57 - PO Certifications? Are you a certified Product Owner? Do you need to be? There are many different certifications out there, all asking for various amounts of your money, time, and attention. If certification is something you are interested in now or in the future, this quick episode will discuss some of the competing ones and which ones you should take more seriously than others. Then you too can summon the vast powers of certification. Kym Gilhooly - Agile certifications: Are they worth the price?